With just about three months to go until the release of Marvel Studios' Doctor Strange, the studio sleep hasn't really revealed that much about its upcoming film. 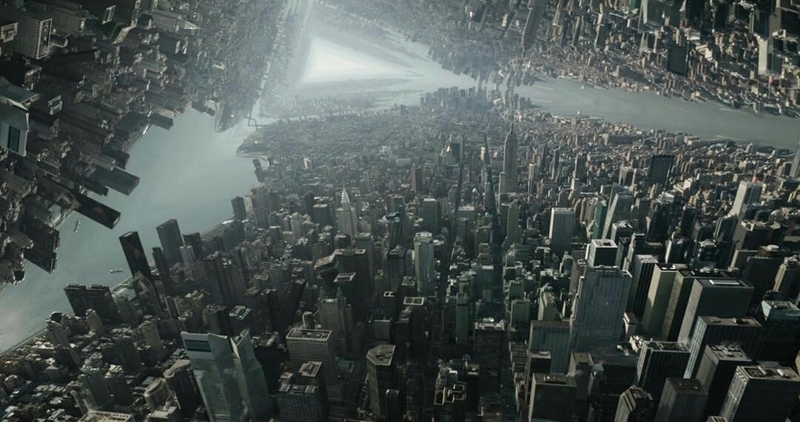 Today is no different with the release two new images for the film one featuring a trippy Inception like look at a city and the other features Doctor Strange himself using his sorcerer skills. Just a thought, I'm still not so sue how this film is going to play to main stream audiences. Anytime I'm in a theater and a preview comes up for it, the crowd doesn't get excited about it or anything. So right now I'm just now sure how casual movie going audiences are perceiving this film. Many probably just see it as a Inception rip off and others just probably don't care. While I'm excited for the film, right now I'd be willing to bet money it could be Marvel Studios lowest grossing property opening weekend and for its entire run. What about you guys and gals, sound off in the comments section below with your thoughts on Doctor Strange. Directed by Scott Derrickson, Doctor Strange has Benedict Cumberbatch (Stephen Strange), Rachel McAdams (Christine Palmer? ), Chiwetel Ejiofor (Baron Mordo), Amy Landecker, with Scott Adkins, Michael Stuhlbarg (Nicodemus West), Tilda Swinton (The Ancient One) and Mads Mikklesen. Marvel's Doctor Strange is set to hit theaters on November 4, 2016.